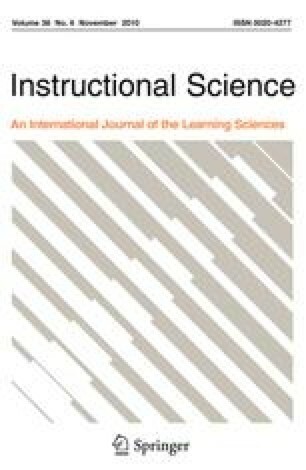 This study aimed to use a learning inventory (the Approaches and Study Skills Inventory for Students, ASSIST) to measure the impact of a curriculum change on students’ approaches to learning in two large courses in a health sciences first year programme. The two new Human Body Systems (HUBS) courses were designed to encourage students to take a deep approach to learning. ASSIST was completed by 599 students enrolled in a biology class in 2006 that was part of the old curriculum, and by 705 students at the beginning and end of the new HUBS courses in 2007. Changes in students’ approaches to learning over time were examined. The ASSIST scores for both HUBS courses reflected the dominance of a surface approach, followed by a strategic and then a deep approach. However, by the end of the year, students were taking a deep and strategic approach to their studies to a greater extent, and a surface approach to a lesser extent. Moreover, students enrolled in the new course adopted a deep approach to their studies to a significantly greater degree than those studying the old curriculum. Despite the predominance of a surface approach, the results suggest that it is possible to bring about small but significant positive changes in students’ learning behaviour in a very large class through curriculum change. The proportion of students preferring a surface approach, and results showing that high performance on the final exam was significantly correlated with a surface approach, probably reflected contextual factors, including assessment, and is the focus of ongoing curriculum development. Students enrolled in BIOL115 in 2006 and HUBS191 and 192 in 2007, and the Committee for the Advancement of Learning and Teaching (CALT), University of Otago, for funding from a Research into University Teaching Grant. Entwistle, N. (2000). Promoting deep learning through teaching and assessment: Conceptual frameworks and educational contexts. Paper presented at the first annual conference of the Teaching and Learning Research Programme. Leicester. Retrieved from http://www.etl.tla.ed.ac.uk/publications.html, 2 May 2008. Webster, R. (2002). Learning styles and design: The use of ASSIST for reflection and assessment. Proceedings of the 2002 Annual International Conference of the Higher Education Research and Development Society of Australasia (HERDSA), Perth, Australia. [Online conference proceedings]. Available: http://www.herdsa.org.au/index.php?page_id=175.